nearby. 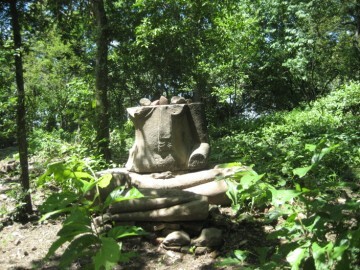 Its remote location makes it one of the most difficult temples to find in the city. faces sliced off leaving only a portion of the head. 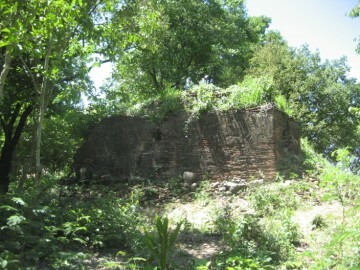 remains of smaller collapsed chedi. to its north. This may have provided some access at one time. prior to King U-Thong’s arrival (Kasetsiri 75-89). 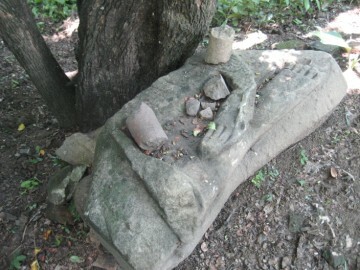 wooden resting places erected near the ruins of the former monastery. east, still can be observed as well as the moat surrounding the monastic complex. 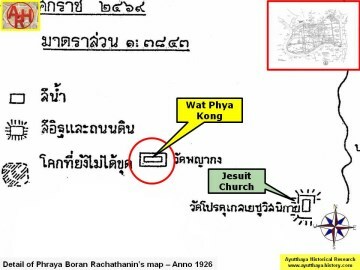 Wat Phraya Kong is mentioned on Phraya Boran Rachathanin's map drafted in 1926.
ruler of Rat Buri and finally was adopted as his son. recognized her son at a scar in his forehead and Phan finally discovered the truth. Enraged he killed Hom, the woman he was raised by, for not telling him the fact. 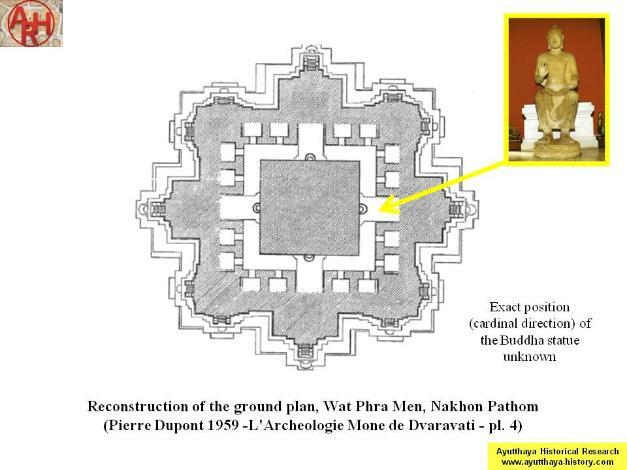 the Phra Pathom Chedi (the First Stupa) and the Phra Prathon Chedi for Yai Hom. 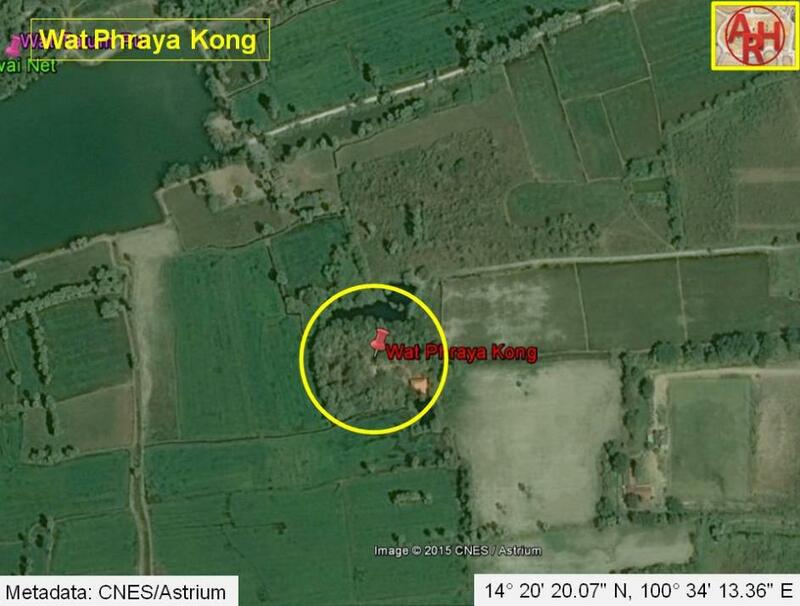 adjacent a temple called Phraya Phan? 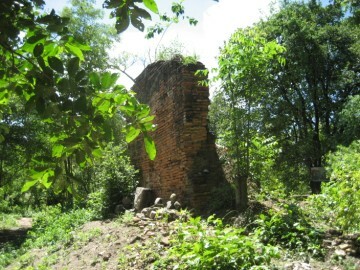 Was there any relationship with Nakhon Pathom? 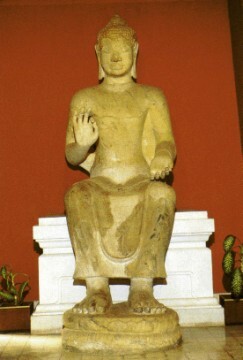 Phra Men in Nakhon Pathom. Revisited the site in April 2013. The area is slowly turned into a small meditation center. added to the slide show. 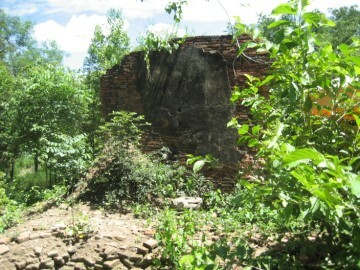 The site is located in geographical coordinates: 14° 20' 20.07" N, 100° 34' 13.36" E.
Autograph - King Boromracha II, 1424-1448. Revire - JSS Vol 98 (2010) - page 83-4.